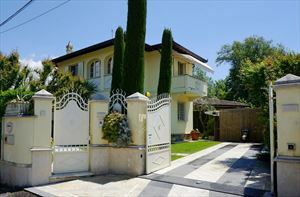 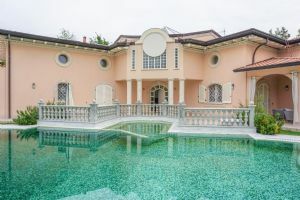 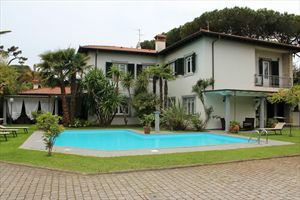 A new, modern, compact villa with a small pool is located in a quiet area of Forte dei Marmi (Vittoria Apuana), about 1 km away from the sea. 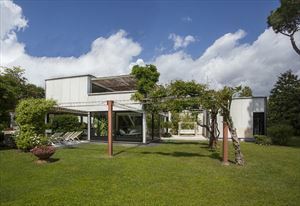 In the well-kept garden there is a covered parking and a terrace with outdoor furniture. 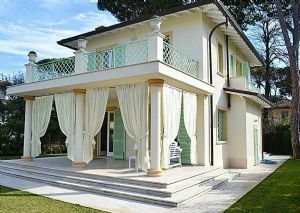 The property is supplied with air conditioning, video surveillance, alarm system, Wi-Fi, automatic gate. 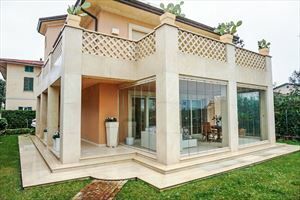 The basement comprises relaxation area, Jacuzzi, sauna, chromotherapy shower; bathroom with cloakroom; seating area with sofas and TV; double bedroom; single bedroom and a bathroom with shower. 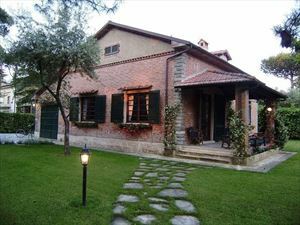 The ground floor has a living room, dining room, kitchen with separate access to the garden, toilet. 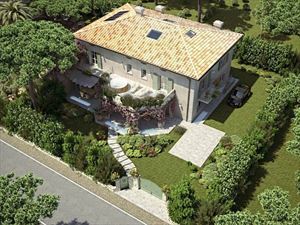 The upper floor consists of master bedroom with wardrobe and 2 bathrooms, double bedroom with ensuite bathroom and a large terrace.